Tracker Locating employs a range of professional equipment in our operations. These include the very latest electromagnetic and radio pipe and cable detectors designed to locate underground utilities and buried facilities. Radiodetection Cable Avoidance Tools (C.A.T®) are designed to prevent accidental damage to underground services when an excavation is undertaken. 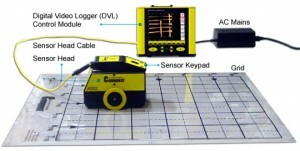 Radiodetection’s cable test equipment is able to locate any problems such as deteriorating insulation, leaks or breaks. Capable of employing a wide range of frequencies, this equipment is suitable for a variety of situations. The 3M Dynatel family of diagnostic telecommunications test equipment and locating and marking products are recognized all around the world for their ruggedness, versatility, and ease of use. 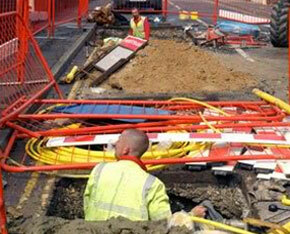 These highly efficient products can be used for the accurate marking and location of critical buried network features. 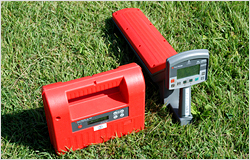 Metrotech is a leading provider of high-quality utility locating instrument solutions for all underground utilities. These quality instruments help improve efficiency, and increase productivity with the user-friendly controls. The result is less time locating, and more money saved. Metrotech’s equipment is used in the location of gas and petroleum pipelines, electric power and telecommunication cables, by industrial maintenance departments and more. 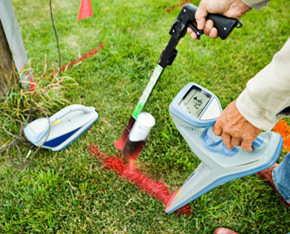 Additionally, Metrotech offers water leak detection solutions for surveying and locating pressurized water leaks in freshwater systems for municipal water utilities, plumbing contractors and golf courses and provides specialized leak detection instruments for sanitary districts. 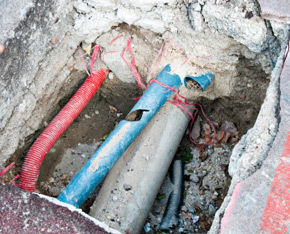 Magnetic Locators are a proven tool for the detection of underground utilities and materials. If material contains ferrous elements and a magnet will stick to it, the Locator will find it underground, as well as beneath water or in deep snow, depending on the depth and mass of the object. Objects that can be located include PK nails, iron pipes, valve covers, masonry nails, manhole covers, cast iron water and gas lines, surveyor’s markers and more. The Fuji PL-960 pipe and cable locator offers high power and high frequency locating. The equipment has three active frequencies of 27kHz, 83kHz, and 334kHz, and is both powerful and versatile. The PL-960 can trace and locate any continuous metal such as iron, steel, and copper water lines, gas lines, tracer wire by plastic pipe, telephone and TV cables, copper and aluminum wire, conduit and power lines. The Conquest SL is a GPR system designed specifically for concrete investigations. Conquest SL features line scanning for reconnaissance surveys, grid scanning for detailed mapping, Power Cable Detection (PCD), real-time locating of embedded objects, on-site 3D imaging and flash card data storage for export to a PC. Whether your concrete imaging requirements involve cutting or coring, structural forensic investigations or as-built assessments, Conquest SL is the ideal imaging solution.